The Bader Field Sports Complex will be a multi-sport facility located on the grounds where one of the nation’s oldest airports once stood. Bader Field is where the term “airport” was coined in 1919, and it was the first municipal airport in the United States for both land and sea planes. 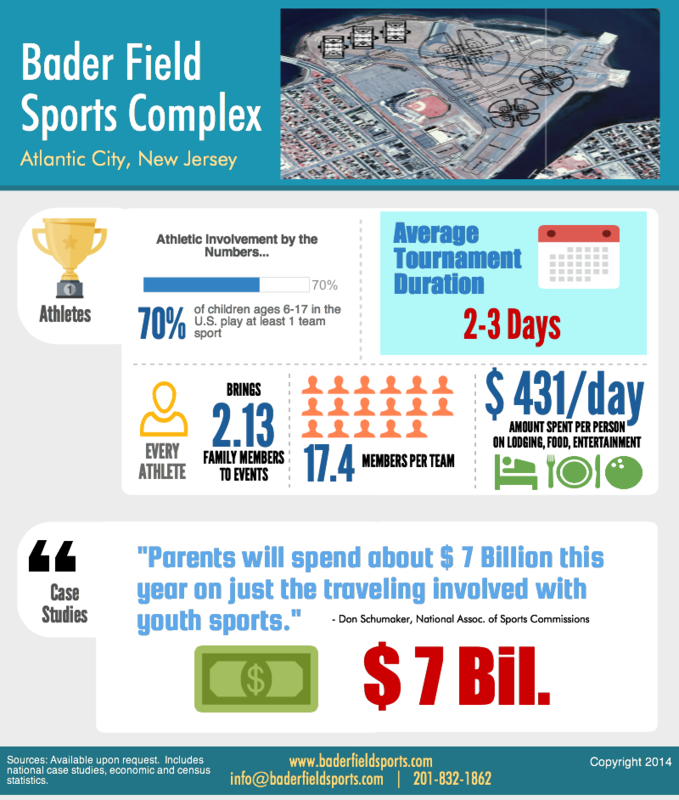 The Bader Field Sports Complex will be a world class athletic destination focused on sports, competition, and education. 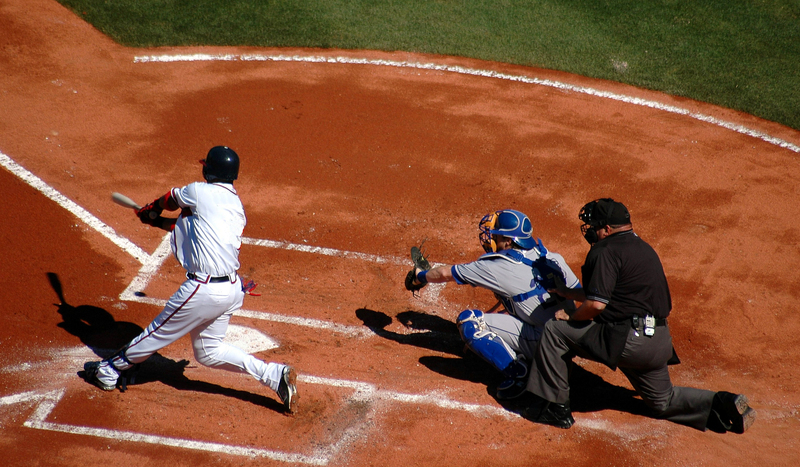 The Bader Field Sports Complex’s objective is to become a prominent in the world of sports by connecting teams, leagues and athletes alike from around the United States in one location. The Bader Field Sports Complex will create opportunities for economic growth that is not centered around gaming, rather the focus will be sports, athletic events and education to make it the epicenter of opportunity and sport. Bader Field Sports Complex will accomplish this by developing facilities that will accommodate a diverse group of sports year round. 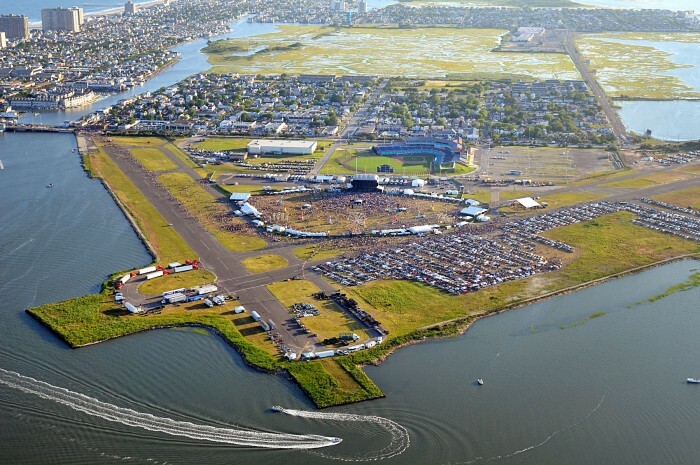 We will also explore the logistics of returning professional sports to Atlantic City. Traverse City, Michigan. This study “GAME ON! – The Impact of Youth Sorts on a Regional Economy” found that nearly 70% of children (age 6-17) in the United States are playing at least one team sport. This study researched the impact of two youth tournaments on the regional economy of the Traverse City area. Research found that the two tournaments combined to bring 15,900 people-youth athletes and their families- to the Traverse City area. Over all the two tournaments contributed to $3.4 million in direct spending within the region for 1 weekend. Tournament participants take up more than 2,000 hotel rooms per night and frequent nearly 100 restaurants and dozens of retail stores. To support this, attendees at a recent meeting of the National Association of Sports Commissions quoted returns on investment (ROI) as high as 50-1. The total direct spending by non-locals during the two tournaments was $3.4 million. 56% of visitors participated in the tournament for the first time. Of those, 28% were also first time visitors to Traverse City. Looking into the specific actions taken by past attendees of the tournament, it was found that 74.2 % recommended the area to family and friends; 58.6% returned for an overnight visit/vacation; and 18.5% considered purchasing a second home or cottage in the area.